Breast Cancer is the most common cancer in the Philippines with reports showing that the country has the highest incidence rate in Asia. Unfortunately, survival rate in the Philippines is below 40% compared to the high survival rates of 80 to 98% in developed countries. This is attributed to better disease awareness in developed countries and the practice of regular screening that helps detect the disease at an earlier, thereby, more curable stage. 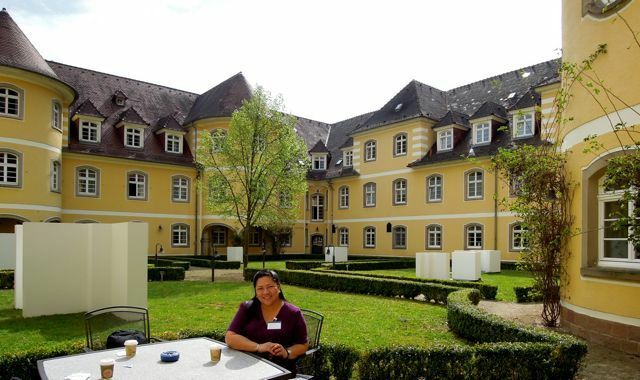 Thus, Ciudad Medical Zamboanga created the CMZ Breast Wellness Center (CMZ BWC) in 2012 as its flagship Corporate Social Responsibility program under the helm of Breast Advocate, Dr. Marissa Lim. The CMZ Breast Wellness Center is now launching the B.R.A. Campaign Project which stands for Bra to Raise Awareness in time for the World Cancer Day this February 4, 2014 and its culmination will be on March 20, 2014, which is the second anniversary of CMZ BWC as well as within the International Women’s Month (March). Phase 1 of the B.R.A. Campaign Project is the B.R.A. Drop Box Decorating Contest participated in by the CMZ employees and was started last January 17, which is within the National Cancer Consciousness Week. The decorated B.R.A. drop boxes will be placed in strategic places within CMZ and with partner institutions and prepared for Phase 2. 1) Looking at the pink-colored B.R.A. boxes will attract the observers to awareness. 2) Reading the messages of the B.R.A. Boxes will create awareness. 3) Picking flyers/leaflets from the box will add to their knowledge and awareness. 4) Contributing brassieres into the box will further increase involvement. 5) More women submitting for screening. 6) More organizations requesting for lectures on Breast Cancer Awareness. Call Zeny/Beth at 992-7330 loc 1278 for scheduling. Phase 2 is the launching of the B.R.A. Collection Contest where CMZ is collecting old and used bras, within the institution and in partnership with the Zamboanga community from February 4 to March 8, 2014. ** private groups such as KCCDFI, Lantaka Hotel and Bygems Baloons. ** Zamboanga City Medical Society is our partner in the medical field. 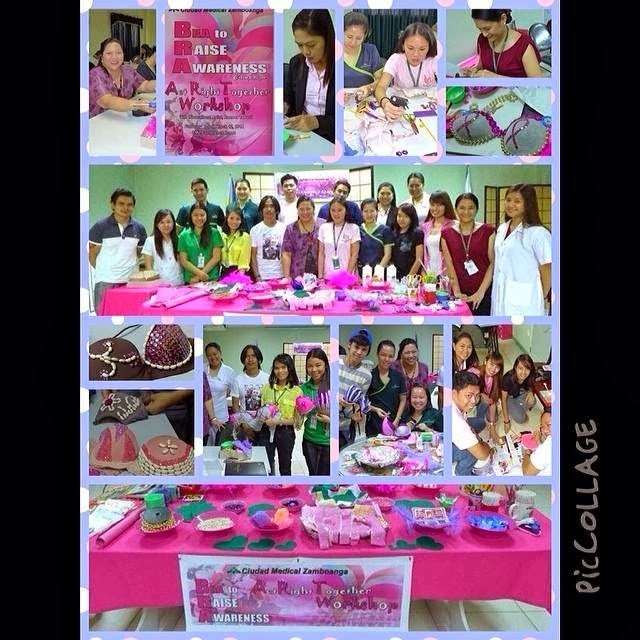 ** The Mindanao Breast Cancer Support and Empowerment Association (MBCSEA) with Pres. Florence Alcazar is our partner for this campaign. ** The Camera Club of Zamboanga and the Zamboanga Bloggers are media partners for this Advocacy project. ** Dante Corteza, Mila Arieta and RG Antonet Go are the consistent friends in media from the beginning of this endeavor. The collected used bras will be prepared for Phase 3 of the B.R.A. Campaign Project which will be the Ciudad de Zamboanga B.R.E.A.S.T. 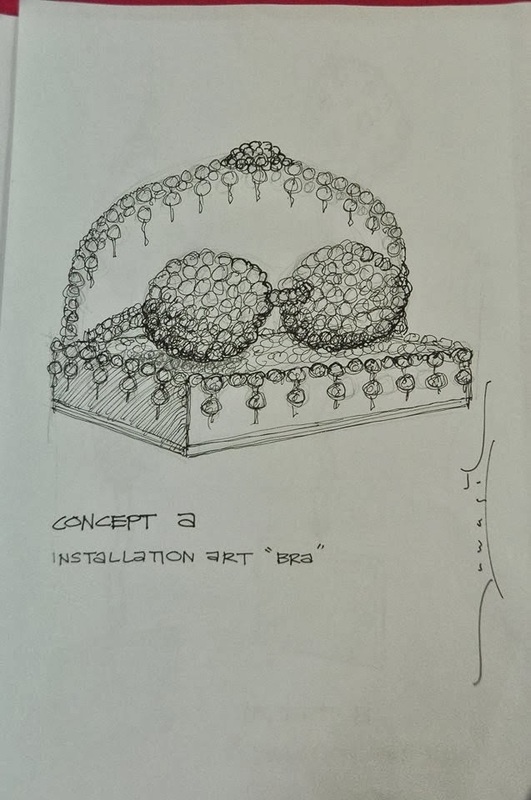 Installation Art for Breast Cancer Awareness to be unveiled on March 20, 2014. Lead artist for this innovative artwork is international artist, Rameer Tawasil who hails from Sulu, and also considers this as his Personal Social Responsibility! Instead of Ciudad Medical Zamboanga, the Installation Art will be known as the Ciudad de Zamboanga B.R.E.A.S.T. Installation Art. 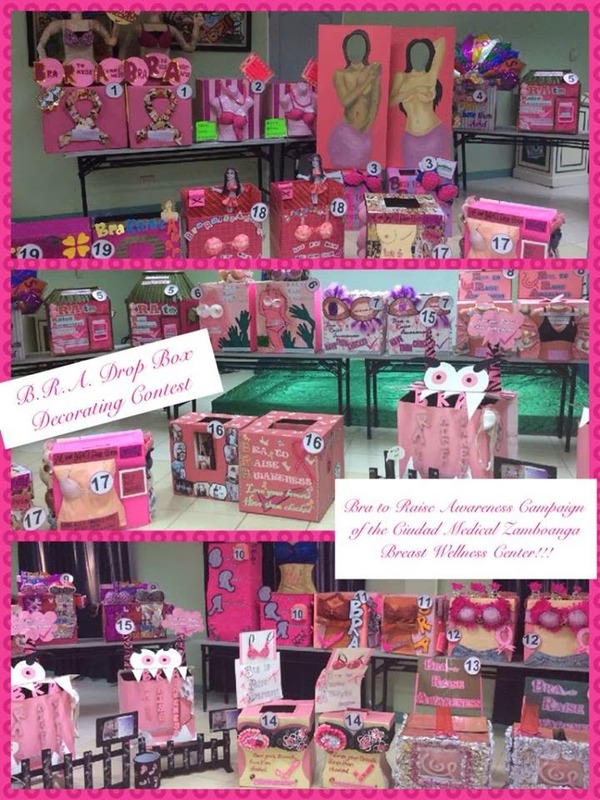 This is so because, this campaign has now expanded as the Zamboanga City community art and advocacy project... where the private and public sectors, schools and offices, institutions and individuals join hands to raise Breast Awareness! It means Bra to Raise Early Awareness for Screening and Treatment. and which will be made up of the individual old and used brassieres ! An offshoot of the B.R.A. Campaign Project is the CMZ B.R.A. A.R.T. Workshop with the Borloloy Buffet, wherein interested participants from CMZ and also from the Zamboanga City community will decorate the brassieres for another concept, also of artist Rameer Tawasil. 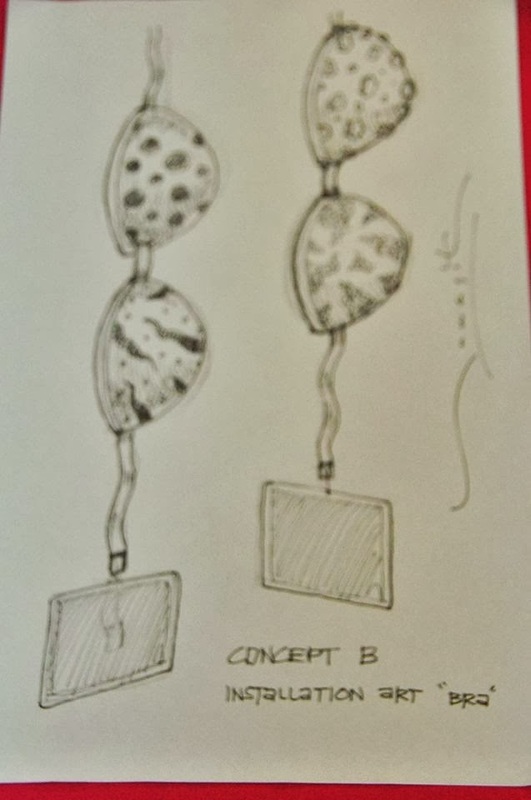 First set of the bra art was made during the CMZ B.R.A. A.R.T. Workshop. CMZ staff are encouraged to continue making beautiful bras. B.R.A. artworks with due consideration to cultural sensitivity. So here is the activity last February 7, 2014 for the CMZ workforce, and CMZ's way of contributing to the National Arts Month (February)! The same activity will be offered to the partners on March 12, 2014 for day of B.R.A. Art with the Community where indeed, let us Act Right Together! Phase 4 of the B.R.A. Campaign Project is the Breast Awareness Phase through Education. This phase is already and ongoing activity of the CMZ Breast Wellness Center spearheaded by Dr. Marissa Lim as main lecturer and also with Dr. Filipinas Rojo as part of the pool of lecturers. In fact, the objective of this Bra to Raise Awareness Campaign Project is in support of this endeavor. Phase 4 encourages our partners to schedule their Breast Awareness lectures with the CMZ Breast Wellness Center through Zeny/Beth at 992-7330 loc 1278 for scheduling and inquiry. The Breast Awareness lectures will allow greater understanding on Breast Wellness and enlightenment on what this B.R.A. Campaign is all about! saving lives as we embark on this BRA to RAISE AWARENESS Project of the CMZ Breast Wellness Center. Again, the intended Ciudad de Zamboanga B.R.A. Installation Art to be made by R. Tawasil and company will be made up of the individual old and used brassieres, so don't be shy to give away the used, abused and unusable bras for this cause! Also, everybody is enjoined to be part of the B.R.A. Campaign... as bra contributor, as active partner institution, as lecturer, as inspirational speaker, as part of the support team, as liaison for units and partners, as media partner and friend, as online sharer and blogger, as artist and of course, as sponsor and benefactor! Please come and join us!!! 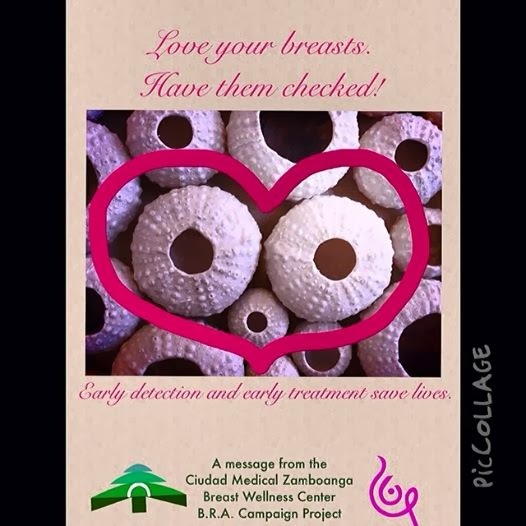 LOVE YOUR BREASTS…HAVE THEM CHECKED! 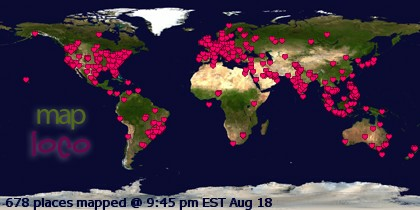 The Awareness starts with us!